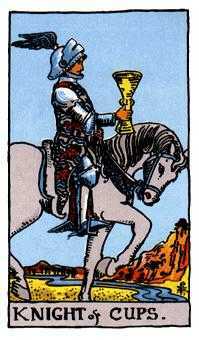 The final steps of a long journey are about to be completed. 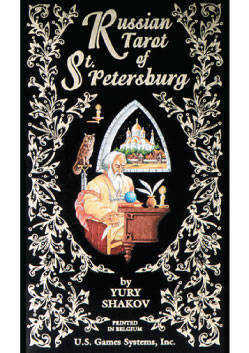 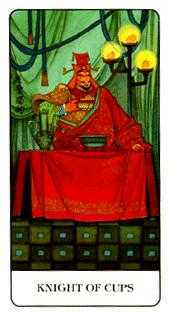 Russian deck © U.S. Games Systems, Inc. 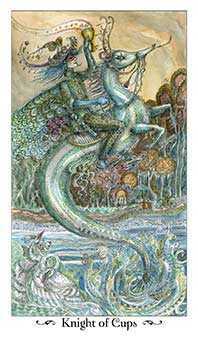 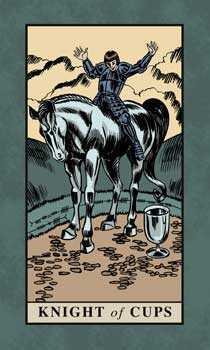 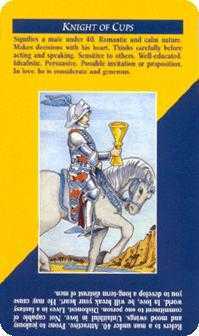 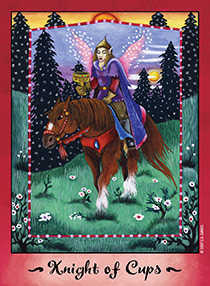 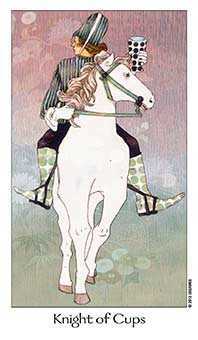 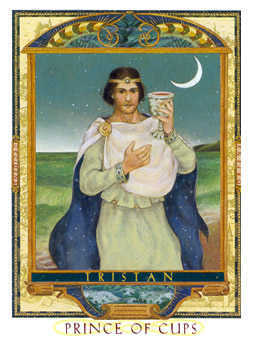 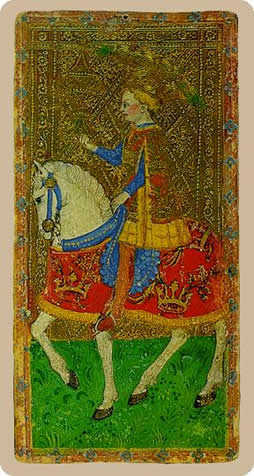 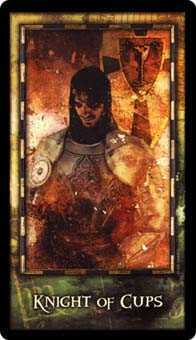 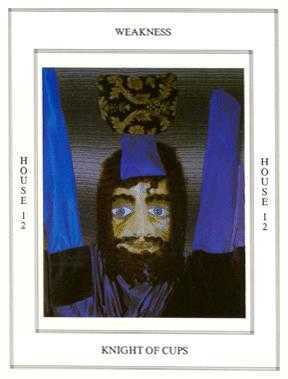 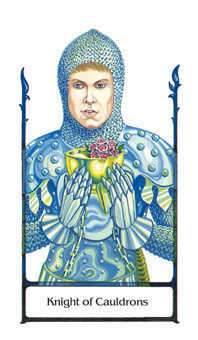 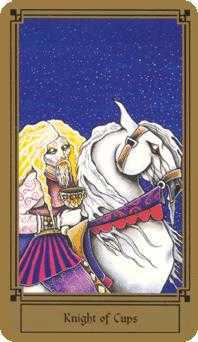 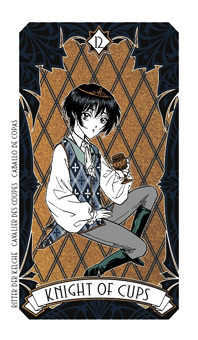 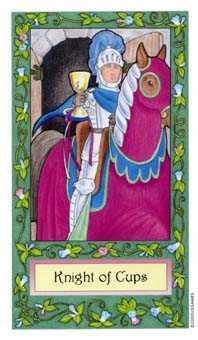 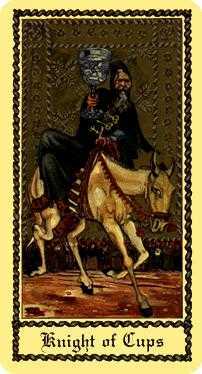 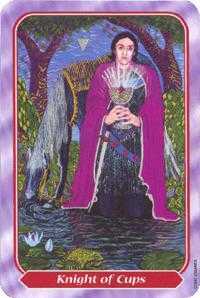 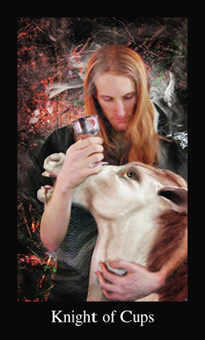 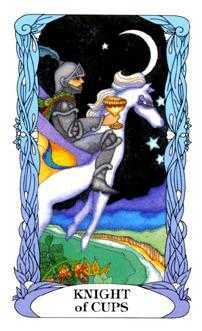 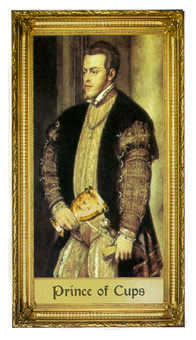 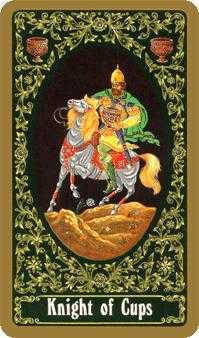 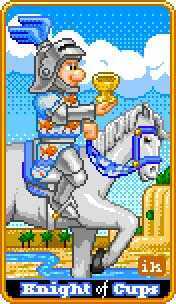 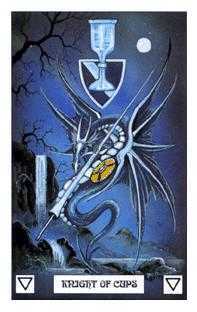 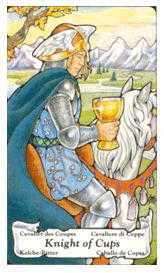 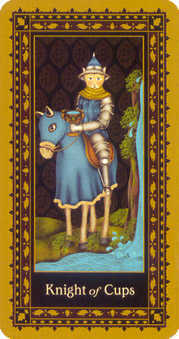 This card is traditionally entitled the Knight, but in some modern decks appears as the Prince. 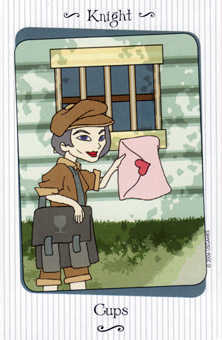 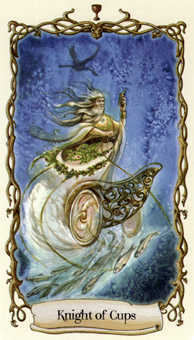 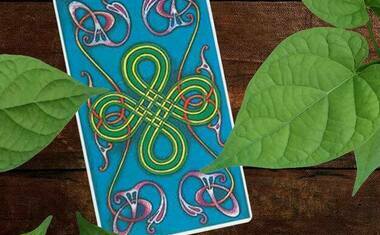 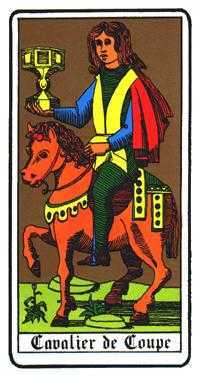 Traditionally, this card in this suit has pictured a homecoming -- portraying a return to his true heart's home after a long journey. 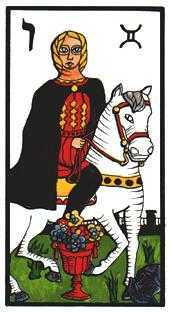 Like the prodigal son, he may be returning after long estrangement from all he holds dear. 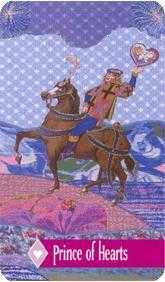 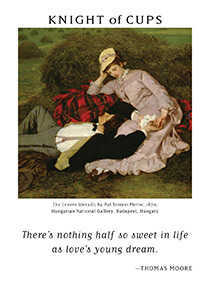 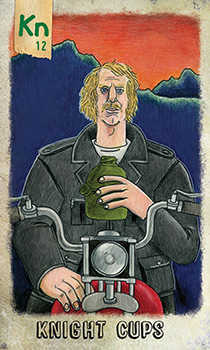 His taste for adventure is exhausted -- there is no more romanticizing of battles or travel in strange lands. 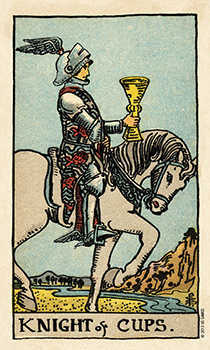 Now he wants to go where he will be recognized, wanted and welcome -- where he doesn't have to fight at every turn. 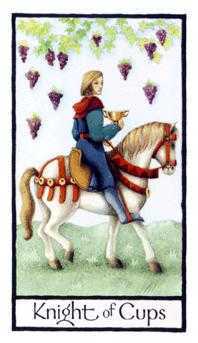 He has the attitude of one who has become older and wiser, the prodigal son. 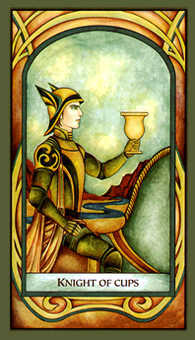 This is the moment to apply yourself fully. 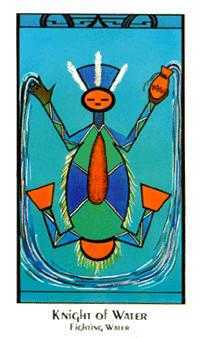 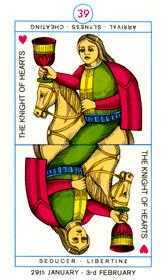 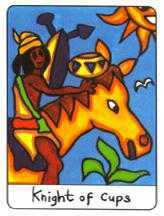 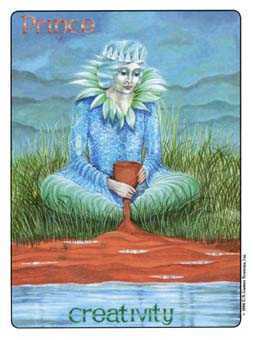 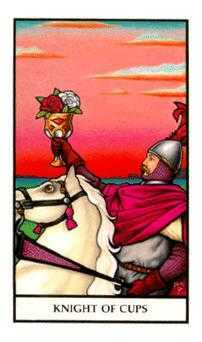 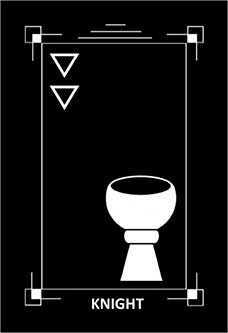 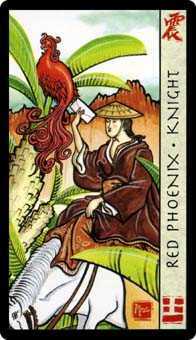 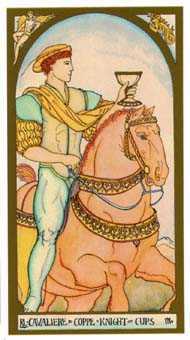 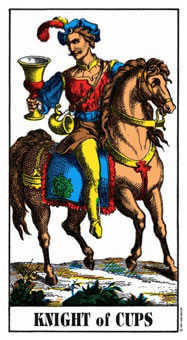 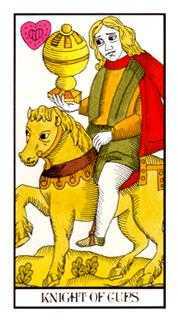 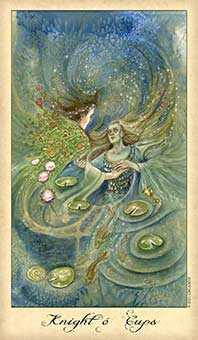 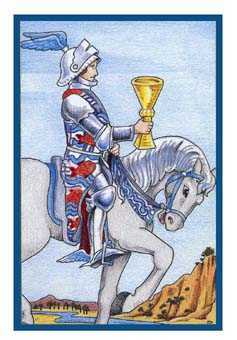 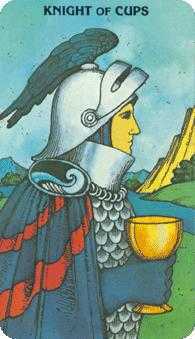 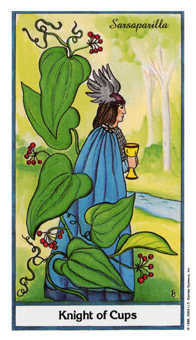 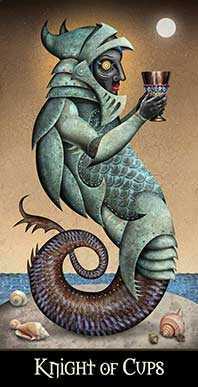 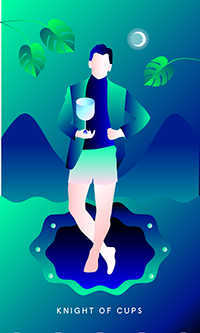 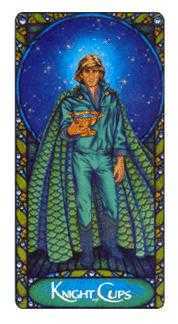 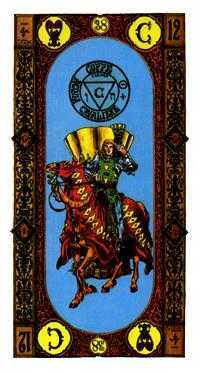 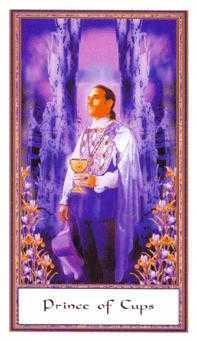 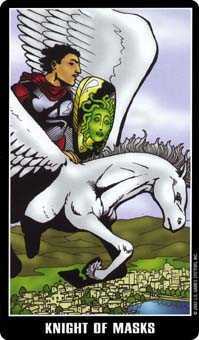 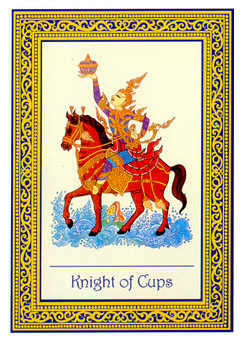 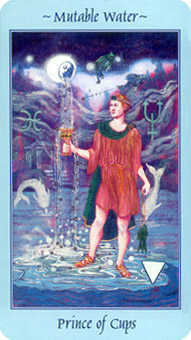 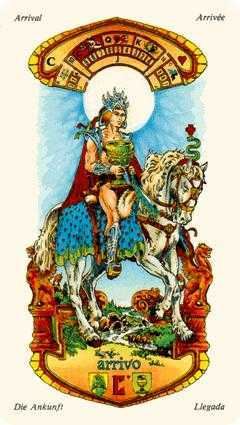 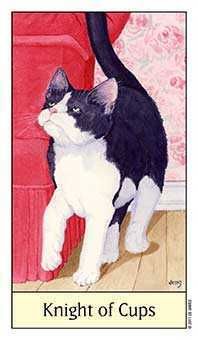 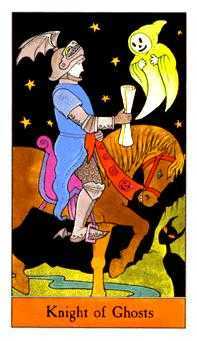 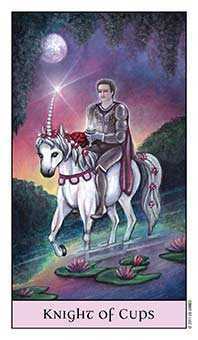 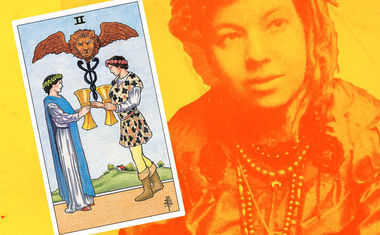 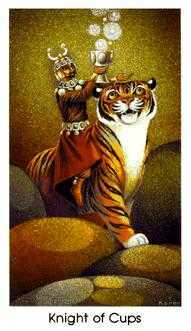 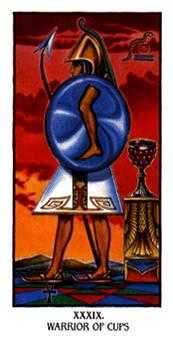 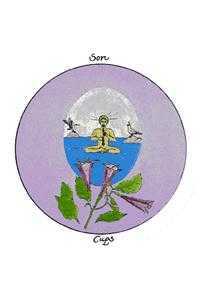 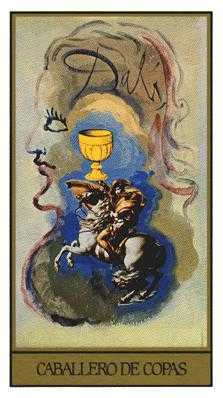 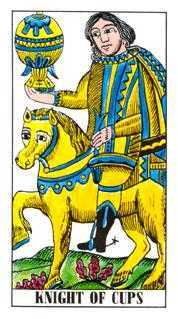 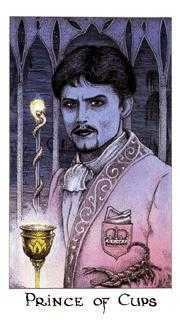 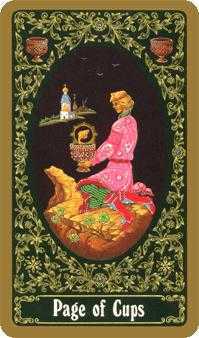 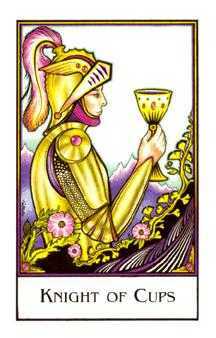 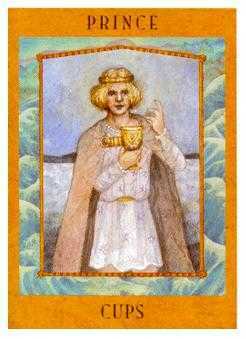 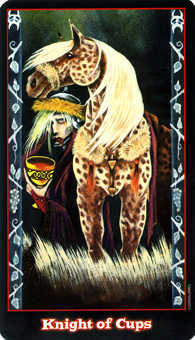 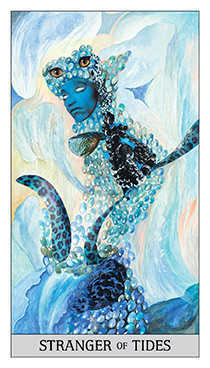 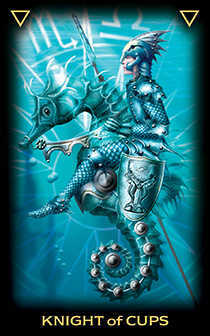 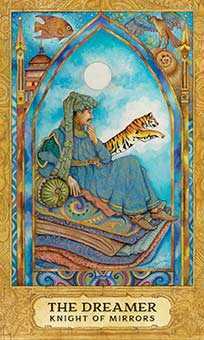 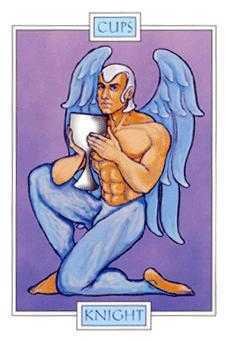 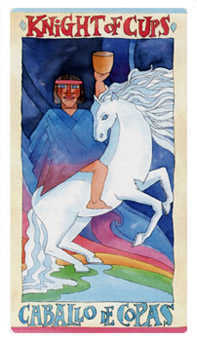 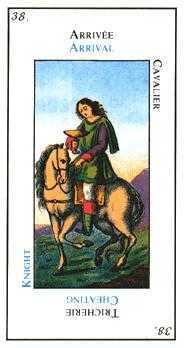 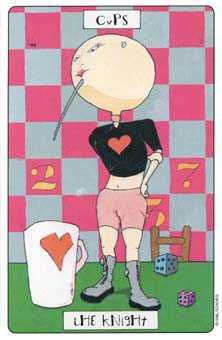 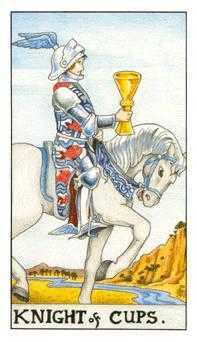 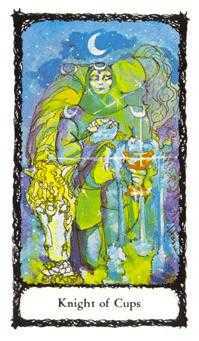 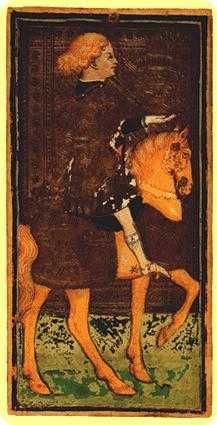 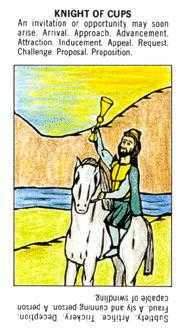 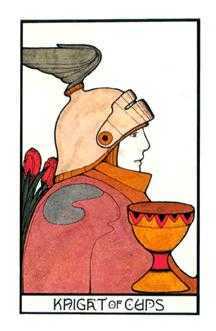 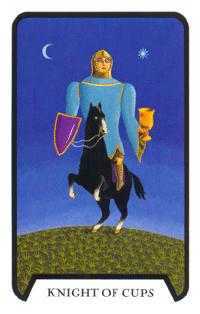 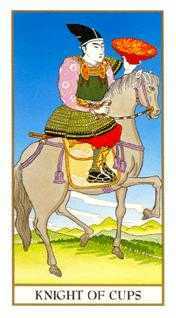 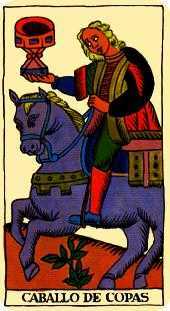 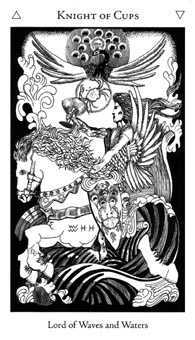 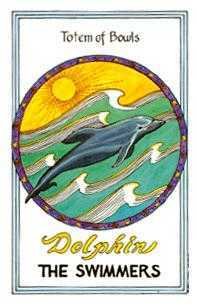 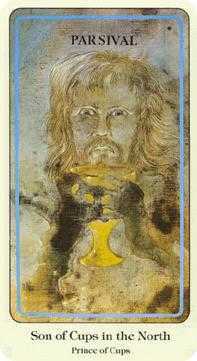 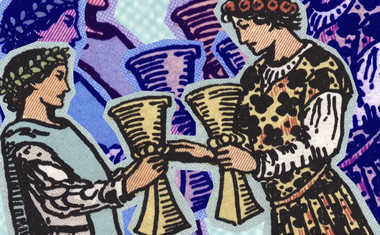 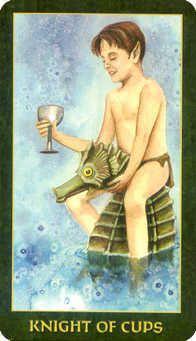 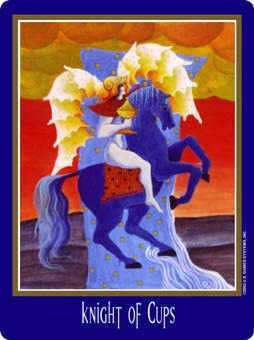 The Knight of Cups (in some decks, a Prince) in this position advises that you jump into your new situation with both feet. 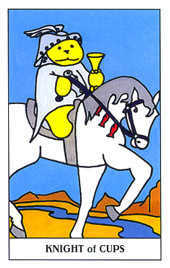 Get involved with what is happening in the present. 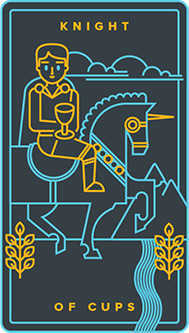 Think no more about the route you had to travel to get back here. 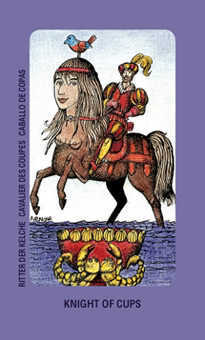 There is no need to be cavalier about what seems familiar. 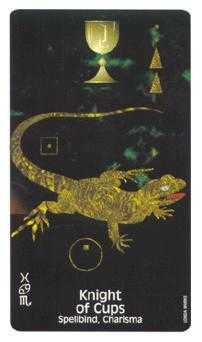 Look deeply at the underlying values here. 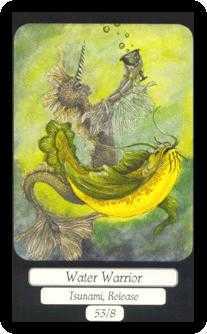 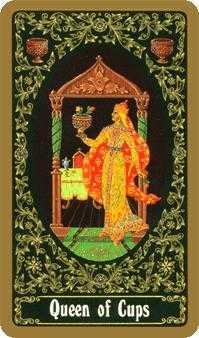 You may find that they represent something you mistakenly rejected in the past. 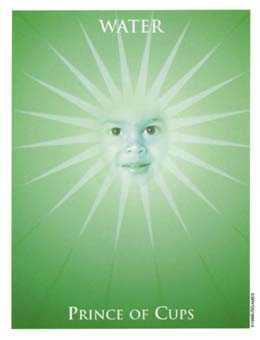 Be humble enough to look at things through new eyes. 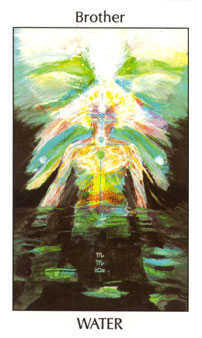 At a deep level, your heart and soul are being nourished. 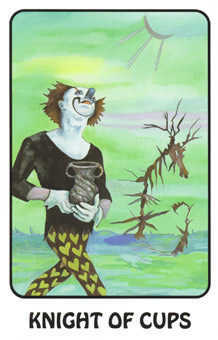 Don't be tempted to run away again -- this is where you belong. 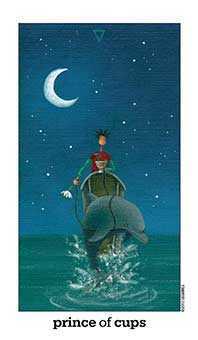 Your entire journey was designed to bring you home with new appreciation.